Sorry, couldn’t keep myself from punning in the title of this post. I recently bought a new lens and the best way to try it out is to shoot something. In my case, I shot tanks. There’s a museum in Strängnäs called Arsenalen (“The Arsenal”) which is the swedish museum for armored vehicles past and present. It’s one of the largest collections of armor in europe, displaying armored vehicles used in the swedish army as well as others. If you have the opportunity you should really check it out. 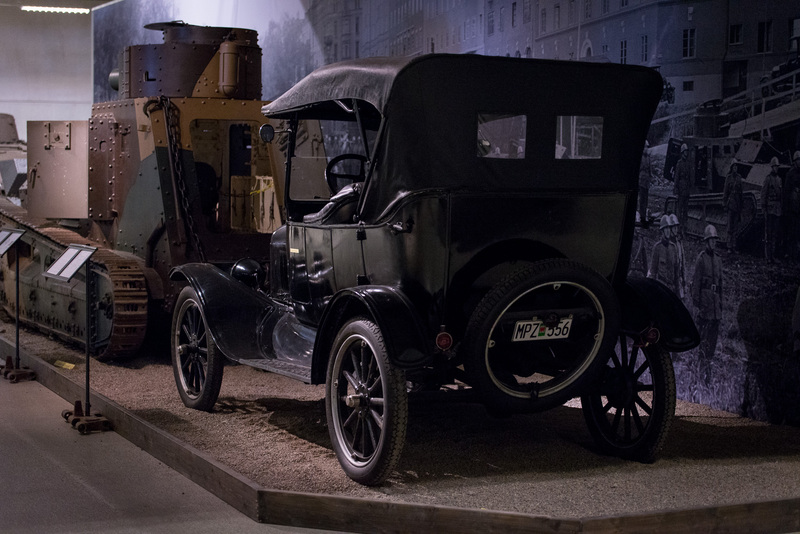 It doesn’t really matter if you’re into armored vehicles or not – this museum is cool. I cannot stress it enough, go there! It has tanks, vehicles, loads of history both about armored and warfare in general, as well as a very interesting exhibition of tin soldiers. During the summers they have a few days they refer to as “vehicles in motion” and during these days you can ride an APC or a “funtrak” (essentially a small toy tank you can drive) as well as enjoy some demonstrations where the volunteers drive around and display various armor as well as common tactics in armored warfare. Saturday was one of those days and I took a drive there and enjoyed it immensely. It’s a very special experience standing next to a 50 ton Centurion when it roars past, the massive V12 blowing plumes of smoke, ground trembling from the rumble. Here’s a gallery in no special order. This tank below is a little special. As in, it’s quite little. It’s actually an R/C scale model, built to 1/15 scale. I always enjoy people who find some odd hobby and go completely all-in with it. I asked the owner about it and he told me it weighs about 170kg. It’s completely electric but has a smoke-system which simulates exhaust surprisingly well, as well as being fitted with a soundsystem which adds the diesel-noise. This too worked impressively. The detailing on the tank is massively intricate, with shovels, helmets and everything built to scale. 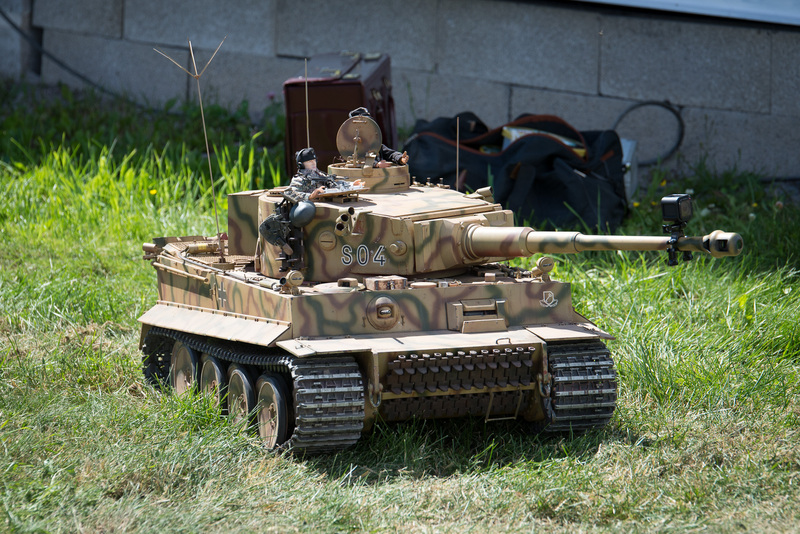 It’s a replica of an actual german Tiger from WW2 and the owner said he built his R/C model as close as possible, with photos of the real thing as a reference. Not only does it drive around, it has a fully motorized turret and cannon. The cannon is fully functional and fires small rounds which are loaded into a magazine in the turret. Even the ball-machinegun has LEDs which light up and simulate gunfire! As a car nut, I also enjoy that Arsenalen has a gorgeously restored Ford Model T in their display. It’s actually a running example and is registered for traffic in sweden (as the license plate shows) but has been in mothballs for a few years now. 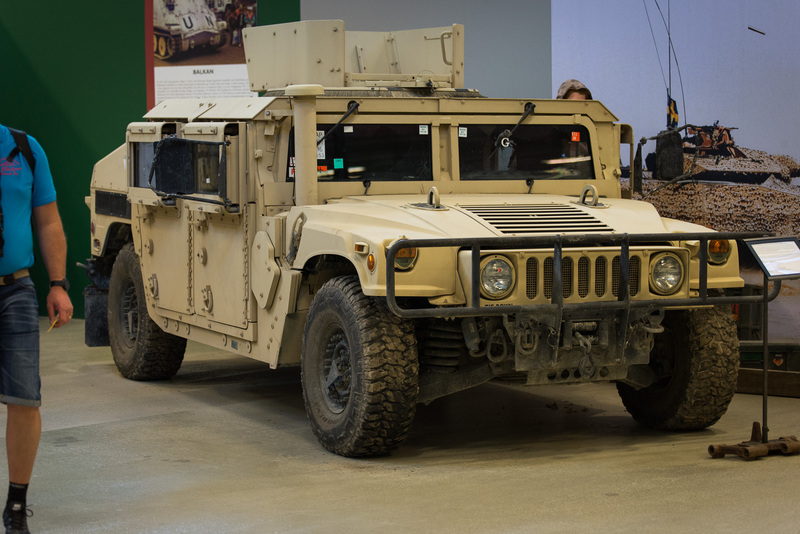 Last but not least, this uparmored Humvee was parked in the museum. As is obvious, this is also a running car (as evidenced by the mud on it) and is currently owned by the museum. It saw action in Afghanistan in 2010. I can’t quite remember how it ended up in swedish ownership though, but it’s a nice ride. Very manly.